Requires iOS 9.0 or later. Compatible with iPhone SE, iPhone 6, iPhone 6s, iPhone 6s Plus, iPhone 7, iPhone 7 Plus, iPhone 8, iPhone 8 Plus, iPhone X, iPad Pro. Requires Android 5.0 or later.Compatible with Samsung Galaxy S5, Samsung Galaxy S6, Samsung Galaxy S7 Edge, Samsung Galaxy S9, Samsung Galaxy S9+, Samsung Note8, Samsung Tab S2, Huawei P8 Max, Huawei P9+, Huawei Mate9 Pro, Huawei Mate10, Huawei Mate10 Pro, Huawei Honor V10, Mi6, Vivo X20, OPPO R15, Google Pixel, HTC10. 1.What is the main difference between Ronin and Ronin 2? Like Ronin, Ronin 2 was designed for handheld camera applications. 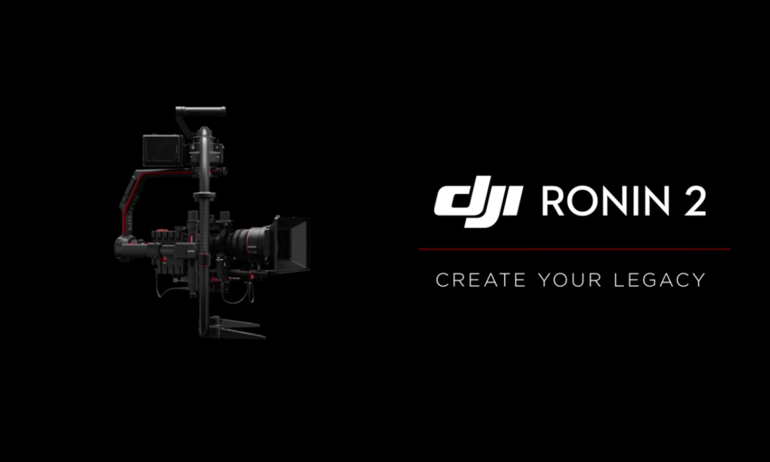 Now, Ronin 2 is more versatile with aerial, car-mounting, cablecam, and Steadicam capabilities. It is also compatible with a large number of professional cinema cameras and accessories like sunshades and filters. For more reliability and convenience, new features include a dual-battery system, built-in display, adjusting knob, GPS algorithm, camera control system, and power system. These provide Ronin users with unmatched stability, power, and reliability. 2.How much does the Ronin 2 weigh? What is its max payload? Ronin 2 weighs approximately 9 lbs (5.0 kg) and 12.1 lbs (6.4 kg) with the handle. It supports a rated payload of 30 lbs (13.6 kg). 3.Overall, is stabilization on Ronin 2 higher-performing and more accurate than Ronin/Ronin-M/Ronin-MX? Yes. Ronin 2 was created with stronger motors and its SmoothTrack algorithm has been enhanced for smoother performance. A new GPS module optimizes performance in high G-force situations. 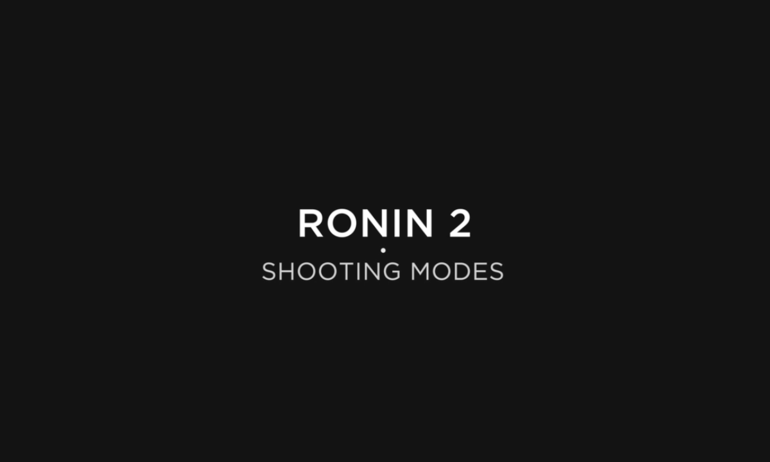 4.Are all three previous modes of operation still available on Ronin 2? Yes. All three previous modes of operation — Upright, Underslung, and Briefcase — are available in Ronin 2. In addition, users can now transition between Upright and underslung modes without changing the orientation of the camera. Users can also lock the yaw motor for 2-axis mode while using Ronin 2 with a Steadicam. Now you can lock each axis for an easier setup, better balance, and safer transportation. 5.What kind of uses does the Ronin 2 support? The Ronin 2 is compatible with various setups, including handheld, rocker arm, car mounting, aerial shot, Ready-Rig, cablecam, and Steadicam. 6.How does the yaw axis quick release differ from previous Ronins? 7.Does Ronin 2 come with a dedicated stand? No. 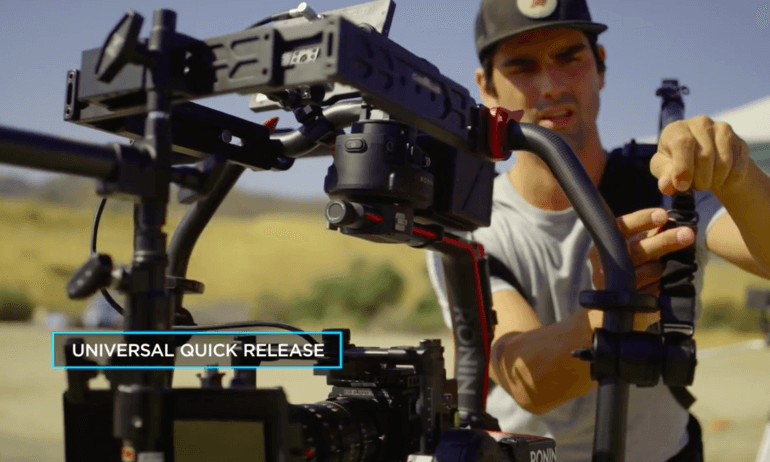 However, Ronin 2’s new hand and rig grip design come with a rotatable stand so that the whole gimbal system can stand upright on a flat surface. The grip is detachable and can be separated when standing is not required for shooting or transportation. 8.What are the working currents of the gimbal system? 9.What is the operating temperature of the gimbal system? -4 to 122°F (-20 to 50 °C). The gimbal system resists low temperature and the intelligent battery has a self-heating function, so it can still perform well at temperatures as low as -4°F (-20°C). 10.What is the controllable speed, mechanical range, and controllable rotation range? 11.What new intelligent shooting functions does Ronin 2 include? 12.How do I calibrate Ronin 2? Using the built-in screen, go to Setting. In the General menu, enter Calibrate System and select Calibrate. 1.What kind of batteries does Ronin 2 use? Ronin 2 could use TB50 and TB55 Intelligent Battery. 2.Are previous Ronin series batteries compatible with the Ronin 2? 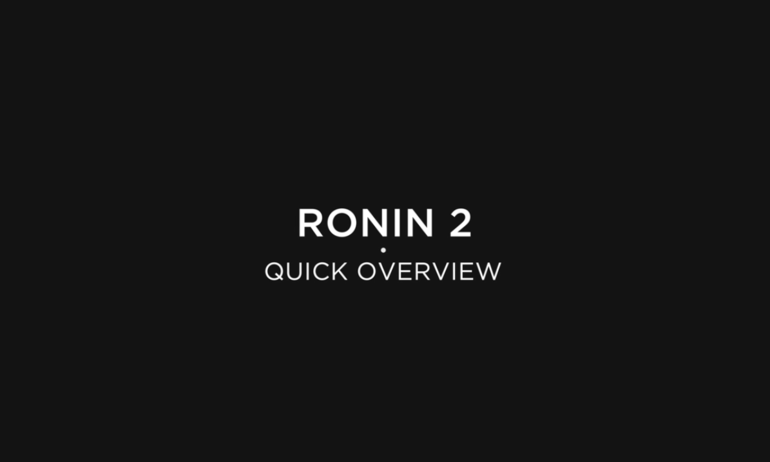 3.How long is the battery life of Ronin 2? With two fully-charged TB50 Intelligent Batteries, the gimbal system will last up to 8 hours. 4.How long does it take to fully charge the battery? 5.Are Ronin 2 batteries hot-swappable? Yes. We’ve redesigned the Ronin 2 power system to reflect that of the Inspire 2. The dual-battery system can prevent power interruption to the camera, monitor, or other equipment when swapping batteries. The battery compartment is detachable, so the weight of gimbal system can be reduced by a remote power supply. The detached battery compartment can output 14.8 V of power, and it can be used for charging other equipment. 6.What is a hot-swappable battery? A hot-swappable battery eliminates power-related downtime to ensure maximum available power. For example, when shooting a scene with batteries at low power, hot-swappable batteries allow you to change one of the batteries without turning off the camera system, gimbal, or accessories. Hot-swappable batteries thus allow you to shoot continuously and uninterrupted. 7.Can I use the Ronin 2 battery with third party products like monitors? Yes. The battery system is designed with a P-TAP port that allows you to power your accessories with industry standard power cables connected to the 6-pin aviation sockets of the gimbal. 1.What cameras are compatible with Ronin 2? Ronin 2 is compatible with a large number of cameras including ARRI Alexa Mini, RED Dragon, ARRI Alexa XT, Blackmagic URSA mini, and Sony FS7. The heaviest we’ve tested so far is the ARRI Alexa XT with a Canon CN7x17 KAS S Cine-Servo 17-120 mm lens. The maximum horizontal length between the camera mounting base center and the roll axis should not exceed 245 mm, the width of camera should not exceed 180 mm, and the height should not exceed 165 mm. 2.What is the largest lens I can mount on Ronin 2? The largest lens tested on Ronin 2 with an Alexa Mini weighed about 6.6 lbs (3 kg). The largest possible size of lens depends on the camera used. 3.How do I control a camera mounted on Ronin 2? Through the new camera control module, Ronin 2 can adjust the parameters of specific types of camera. It can adjust the ISO, frame rate, resolution, and shutter. 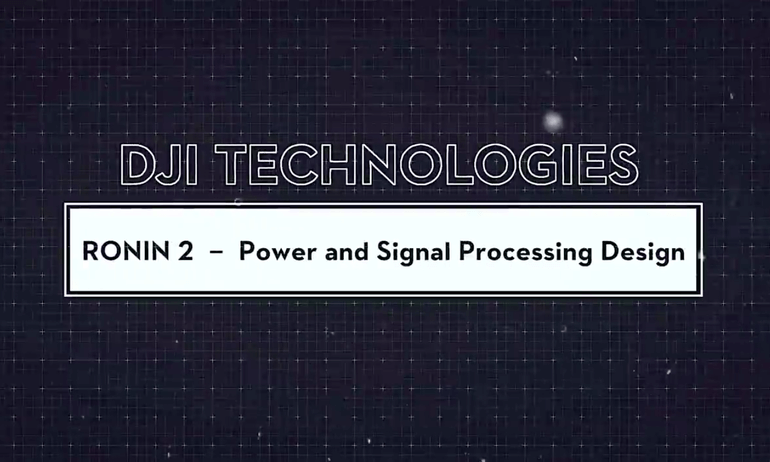 4.What accessory power interfaces are supported by Ronin 2? The gimbal uses an HD-SDI output. 5.What is the software installation requirements of Ronin 2? 1.Does Ronin 2 come with a remote controller? Yes. The new remote controller is smaller than before with a more functional joystick. It also supports dual control for the 2.4 GHz and 5.8 GHz frequency bands. 2.What are the main differences between this and previous remote controllers? Users can now change the control speeds of the joystick directly on the remote controller by adjusting the corresponding knobs, without changing any settings in the gimbal assistant app or directly on Ronin 2. 3.What is the new gimbal assistant app? What can I do with it? 4.What is the built-in display for? Ronin 2’s new built-in ultra-bright display provides the convenience of changing gimbal settings without using a mobile device directly on the gimbal. With the built-in display, users are now able to change most of the settings they see on the new gimbal assistant app. 5.Can I use third-party remote controllers with Ronin 2? 6.Does Ronin 2 contain a GPS module? What is its purpose? Yes. The GPS module can solve tilt problems that may occur in high-speed movements. Users can also install an external GPS to offset the influences of occlusion and interference. 7.How do I calibrate Ronin 2’s remote control? If the remote control joystick control exhibits deviation (e.g., joystick does not operate, the gimbal is stuck in rotation, or abnormal bias to an angle), go to the built-in touchscreen and enter Remote. Switch to Channel and check the tilt, roll and pan values. If any value is not at the median, you need to calibrate the remote control joystick. When calibrating, please power off Ronin 2. 1) Press, then press and hold the C1, and C2 buttons until the remote controller emits a long beep. It will then repeat three short beeps, indicating that calibration has begun. * WARNING: If you touch the joystick before calibration successfully begins, calibration will fail and you will need to repeat step 1. 3) Press and hold the C1 and C2 buttons again to finish the calibration. The controller will beep twice, indicating that the calibration is complete. No tone indicates that calibration has failed; you will need to repeat the steps above for re-calibration. 8.How do I connect the remote control? (3) Press and hold the C1 and C2 button, then press the red REC button. The remote controller will then repeat a ticking noise. Connection is successful when the remote controller beeps and its indicator light glows green. If this does not happen, please repeat the steps above. You only need to perform the above connection steps when using the remote controller on your Ronin 2 for the first time, or if you replace the remote control. 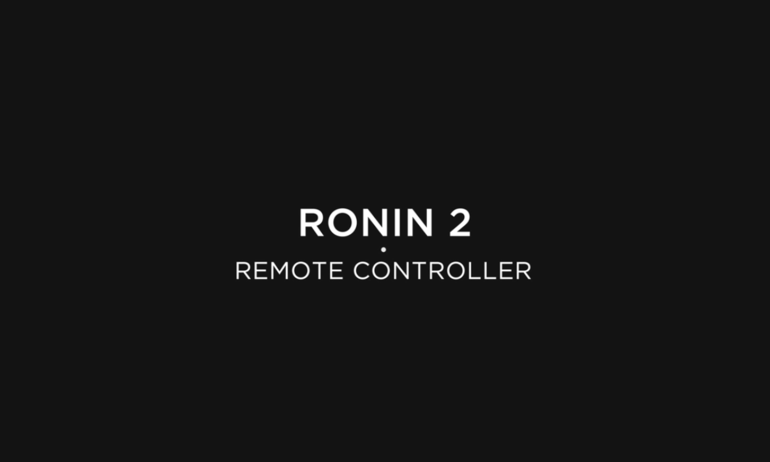 To check the connection status between the remote controller and Ronin 2, go to Monitor, then Device on the built-in screen. 1.Can I switch Ronin 2’s mount mode through the built-in display? Through the built-in display, you can choose among four mount modes: Handheld, Car, Aerial, and Tripod. 1) Handheld mode: gimbal mounted on the handheld rig for handheld shooting. 2) Car mode: gimbal mounted on a car, slide, cablecam, rocker arm, and other vehicles. In this mode, the gimbal will use its own GPS to correct the behavior, in order to maintain stability while shooting from a moving base. 3) Aerial mode: gimbal mounted to the drone. In this mode, the gimbal corrects its own posture through flight control behavior. Even if the gimbal GPS is blocked by the drone, it can still maintain their own stability. 4) Tripod mode: gimbal used for a static shot. In this mode, the gimbal maintains max stability and does not drift for a long time. 2.Can I switch the Ronin 2’s follow mode via the display? Through the built-in display, you can choose among four follow modes: Free, Follow, FPV, and Recenter. 1) Free mode: The gimbal is fixed on the targeted scene, and will not follow handheld rig movement. 2) Follow mode: The pan/tilt moves with the handheld rig, according to the user’s setting of follow speed, dead zone, acceleration, into smooth follow movement, and the three axes can be set independently. 3) FPV mode: The behavior of the gimbal’s three axes follows the gesture of the handheld rig, allowing users to shoot in the first-person perspective. 4) Recenter mode: The gimbal follows handheld rig movement. 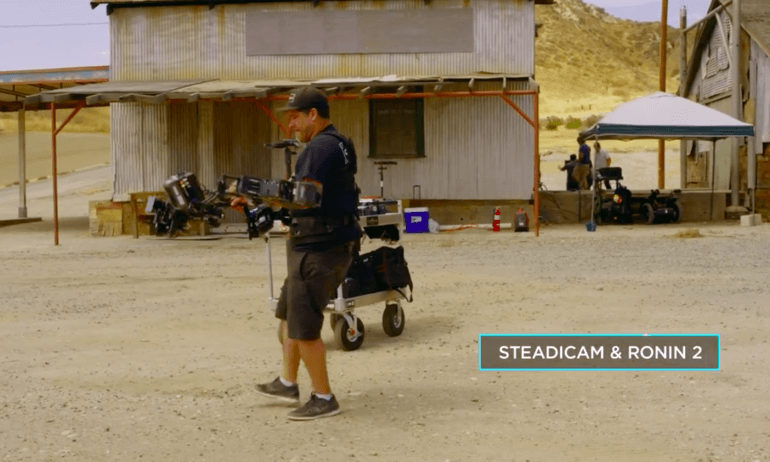 Gimbal posture returns to the middle of the handheld rig once the rig holds still. 3.Can I adjust the Auto Tune of Ronin 2 through the built-in display? After manually leveling the gimbal, power on Ronin 2 and the display will turn on. Enter Motor, and click Auto Tune. 4.Can I adjust SmoothTrack parameters through the built-in display? When you enter SmoothTrack, you can set various parameters including deadband, speed, and acceleration. 5.How can I check the connection status of peripheral devices through the built-in display? Enter Monitor, then select Device. You can now check the connection status between the gimbal and peripheral devices such as aircraft, remote control, D-BUS receiver, and power hub. 6.How do I check any errors Ronin 2 may experience? On the display, enter Monitor and select Log. Here you can view the Gimbal Error Log. 7.How can I read Ronin 2’s built-in SD card storage data through the built-in display? Enter Setting, select More, and then select Access Log File. After selecting Access Log File, the gimbal and motor will power off. In this mode, you can connect the gimbal to the computer with a USB cable. 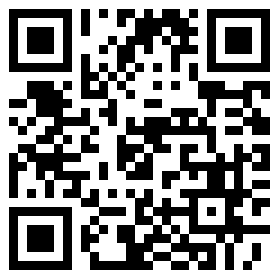 This will give access to the data saved on the built-in SD card to analyze a problem. Ronin 2 contains an Auto Tune function that calibrates motor and other sensors according to camera weight. 1) Make sure that the Bluetooth function is enabled and turn on Ronin 2. Open the Ronin 2 app, which will automatically search for your Ronin 2. Select the corresponding Bluetooth device and tap OK. If it is the first time you connect, the app will ask you to name your Ronin and set a password. 2) When using the "auto tune" function, make sure to adjust the gimbal’s mechanical balance. Under the Auto Tune page, you can access real-time data regarding the stiffness, strength, filter, and control of each axis motor. SmoothTrack makes it easier for single operator use, letting you control the pan and tilt freely. By modifying SmoothTrack settings, you can achieve stable shooting of different types. Motor stiffness value determines the strength of the Ronin 2 motor to maintain the camera's position, which is very important for maintaining stability. It can be tested by pushing the camera slightly. If the stiffness is too low, the camera can be easily pushed. When the stiffness is moderate, and the external force is applied, the gimbal click will provide the appropriate resistance to make the camera stable. If stiffness is too high, the camera may experience vibration. You need to reduce the strength of each axis of the motor until the vibration is eliminated. Monitor allows you to view the power, attitude, and temperature of the gimbal motors. Enter More to see more features. In harsh shooting environments, the stability of Ronin may become affected. The calibration system can reconfigure all built-in sensors to adapt to the environment so you can resume your shooting. When using the system calibration function, you must place Ronin 2 on a stationary, level surface. After calibration is successful, restart Ronin 2. The new camera mounting plate and knobs significantly reduce the balance adjustment time, while improving adjustment accuracy. Please refer to the balance adjustment tutorial videos here. 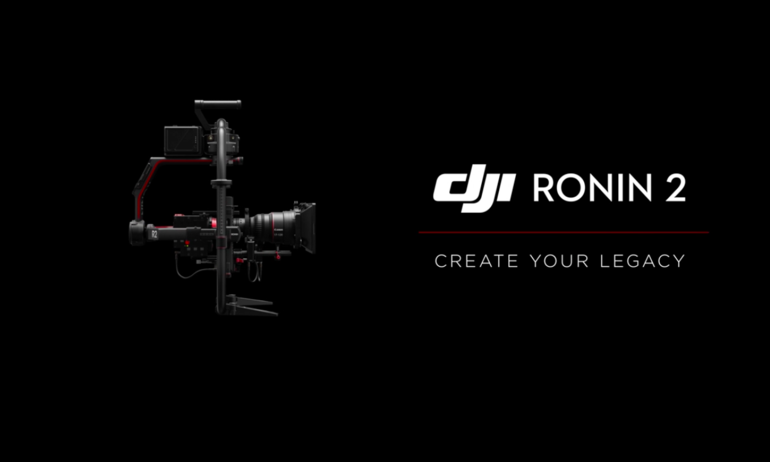 1.Are all Ronin series accessories compatible with Ronin 2?